Kelan Phil Cohran is a jazz musician currently in his mid eighties. Born in Oxford, Mississippi he grew up in St. Louis, Missouri where, in the early fifties, he played trumpet with the U.S. Navy band and a few other bands. Migrating to Chicago, a turning point came in 1959 when he joined the inimitable Sun Ra Arkestra. Cohran was introduced to Sun Ra by his friend, Ra’s tenor sax player and constant member John Gilmore. With Sun Ra, Cohran was playing trumpet, cornet and at times zithers plus another instrument of his own invention The Frankiephone. Essentially an electric kalimba, on the Sun Ra albums that he appears on: Interstellar Low Ways, Fate In A Pleasant Mood, Angels and Demons At Play and We Travel The Spaceways, Cohran’s Frankiphone was called the Space Harp. Cohran and his kalimba was also a big influence on a young Maurice White, who formed Earth Wind and Fire in Chicago, 1969. The AACM’s motto, “Great Black Music, Ancient to the Future” and its long list of notable members, visionaries such as Henry Threadgill, The Art Ensemble of Chicago, Anthony Braxton, Jack DeJonette and Lester Bowie, to name a small few, has lead to the creation of some incredible experimental Avant Garde, Jazz, World, and Classical music. Though differences in approach and direction led to Cohran leaving, the AACM is still a wonderful non-profit organization to this day. Between performing on Sun Ra albums, founding the AACM, and in 1967 the Affro Arts Theater, and leading his own group, The Artistic Heritage Ensemble, I would not hesitate to say that Kelan Phil Cohran (the Kelan part of his name is an honorary title meaning “holy scripture” bestowed upon him by Chinese monks) is a truly special musical figure that saw music as only a part of the whole of life’s experiences involving the creative process. As it was with Sun Ra, music was complemented with the visual arts, poetry and performance. 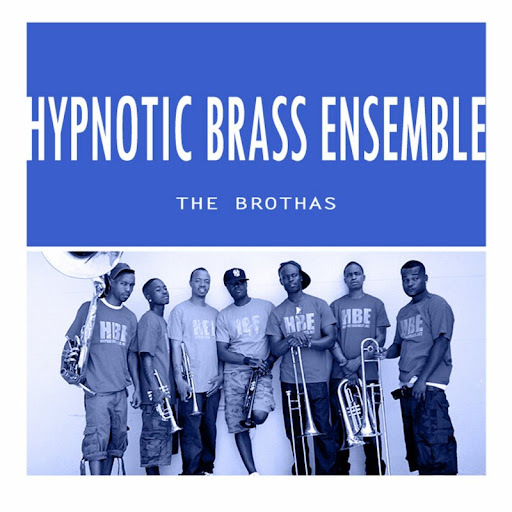 Eight of his sons make up a group called The Hypnotic Brass Ensemble. For the uninitiated, The Hypnotic Brass Ensemble has been relentlessly touring, performing and have released albums on their own as well as taking part on the albums and live shows of such giant musical acts as Gorillaz, the Damon Albarn/Flea/Tony Allen project Rocket Juice to the Moon, Wu Tang Clan, Prince, The B52’s, Mos Def, Erykah Badu, and Femi Kuti among others. Sousaphone – “L.T”, Baritone – “Rocco”, Trombone – “Clef”, Trombone – “Cid”. 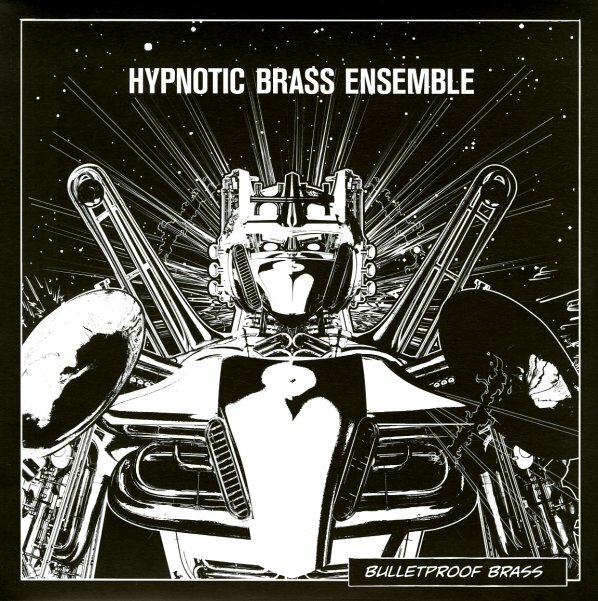 The Hypnotic Brass Ensemble is through and through a well…brass ensemble, so that their music would not be unfamiliar to any listener who has also loved say, The Dirty Dozen Brass Band. Like them and other brass groups, they retain a jazz sound, yet, by peppering the music with hip hop beats, and film snippets a la Wu Tang Clan and M.F. Doom, plus what to me feels like some of the greatness of the Washington D.C. Go Go music of 20 years ago, they manage to keep things highly original and fresh. There is no doubt why so many acts look to them for collaboration and inclusion on projects. The Hypnotic Brass Ensemble have now released an album with their father called simply, Kelan Phil Cohran & The Hypnotic Brass Ensemble (Honest Jon’s Records). An album that is both a collaboration and a living tribute to their father, this is a beautiful and engaging work. Titles such as “Apsara”, “Spin” and “Ancestral” all reflect Cohran’s interests and are the focus of his compositions here. Included is the track “Frankincense And Myrrh” which The Hypnotic Brass Ensemble has long used to open their own live shows. Order Kelan Phil Cohran & The Hypnotic Brass Ensemble via the fine folks at Forced Exposure here. Phil Hester's GOLLY collected! Check it out!